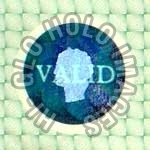 These are Hologram labels made on Transparent High Refractive/ High Reflective Index (HRI) Tamper Evident films. The matter under the labels can be seen clearly through the Holographic Images. If an effort is made to peel them off or tamper with they get damaged. 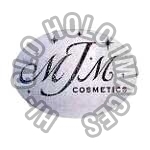 These are transparent films hot stamped with holographic general/ geometric designs with the clients logo/ name etc. to provide the no label look to the packing.